MountainAire Dentistry (Broomfield) - Book Appointment Online! Dr. Sweis is passionate about helping you achieve and maintain optimal oral health as well as a beautiful smile. Oral health is proving to be just as important in staying healthy as eating well and exercising. At MountainAire Dentistry, Dr. Sweis and his staff will make dental care an easy, relaxed process and listen carefully to your concerns while thoroughly assessing your dental health. Dr. Berry wants to clearly inform you about your needs, then work with you to create your ideal treatment plan. 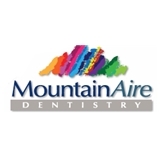 MountainAire Dentistry provides the highest quality dental care for you using the latest equipment and the most current technology. You and your family deserve the best . . . let us give you something to smile about! Dr. Berry was very professional and thorough, yet comforting and easy to chat with. A great experience as a new patient all around!